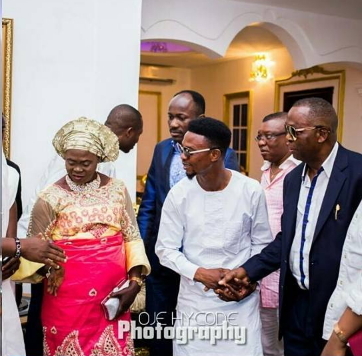 Nigerian comedian Francis Agoda aka I Go Dye over the weekend surprised his mother with a brand new N500Million Golden Castle mansion in her home town in Delta state. 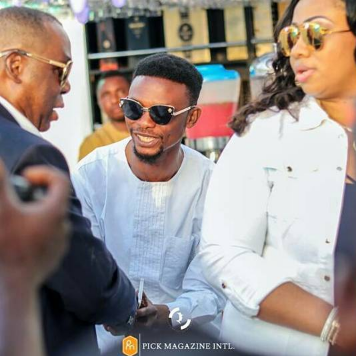 While everyone was celebrating with him, a particular fan, Nwaka Ibeya called him out for belonging to a secret cult due to the amount involved in building the edifice. Mr Ibeya who claimed that no comedian can make such money without belonging to the occult world declared the judgement of God on the ungodly. No Human being ever makes wealth without belonging to the hidden world # who will allow you to cross and stay with wealth without checking your spiritual source? 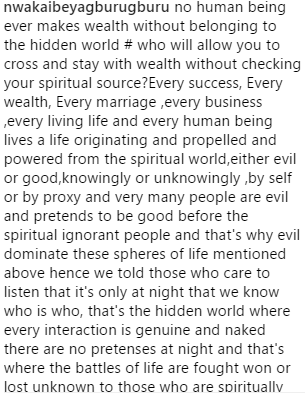 Every success, Every wealth, Every marriage ,every business ,every living life and every human being lives a life originating and propelled and powered from the spiritual world,either evil or good,knowingly or unknowingly ,by self or by proxy and very many people are evil and pretends to be good before the spiritual ignorant people and that’s why evil dominate these spheres of life mentioned above hence we told those who care to listen that it’s only at night that we know who is who, that’s the hidden world where every interaction is genuine and naked there are no pretenses at night and that’s where the battles of life are fought won or lost unknown to those who are spiritually blind those we call empty vessels and the thomases of this generation ,who don’t understand the hidden world they just open their mouth and talk and doubt but those who understand the hidden world peep when they read or hear me before they talk because they understand the consequences of vain challenge and where the battles of life are fought won or lost and not on social media . 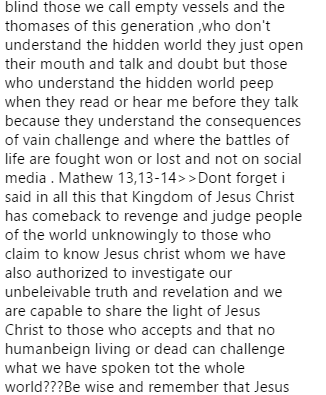 Mathew 13,13-14>>Dont forget i said in all this that Kingdom of Jesus Christ has comeback to revenge and judge people of the world unknowingly to those who claim to know Jesus Christ whom we have also authorized to investigate our unbelievable truth and revelation and we are capable to share the light of Jesus Christ to those who accepts and that no human being living or dead can challenge what we have spoken tot the whole world??? Be wise and remember that Jesus Christ said i am the only true son of the Living God and those who claimed to know God more than him were there and they never agreed nor believed Jesus Christ in bible time so we dont expect many people to believe us because its the same authority speaking. 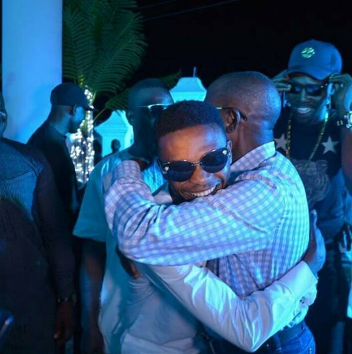 Tell this guy to go and take his malaria medicine….does he really know the meaning of that name he is answering? “Nwakaibeyagburugburu”. This is the type of person God will bless and he gives glory to Satan. Celebrate with this young man and God will give you your own. There will never be fake if no original. So do not generalize your statement. You may be right but not all true. True human beings with Christ Jesus and a good saver can make such money without involving in secrets societies. Believe you me. Well if he did that only God will judge. If it is your main concern celebrate with him and allow God almighty to judge him. There are many millionaires in develop world who never joined cults why not our own people? This is very serious! 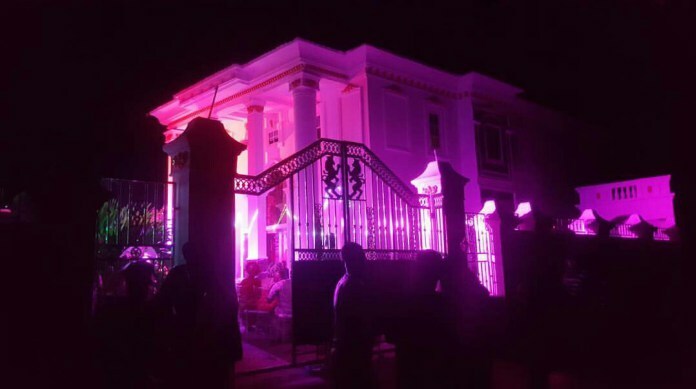 N500 million naira worth mansion built by a comedian? Hmmm. 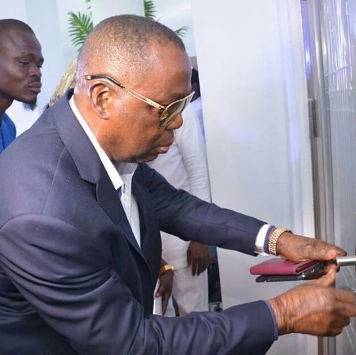 SO COMEDIANS cant build a befitting hse..eddy murphy cant afford a mansion in hollywood..dangote made mny thru cultism..abi.hard work pays .go get a life and congratulate the young man.